You're more than welcome. Actually, everyone is welcome to get the recipes for personal enjoyment. Are you saying that you couldn't access my recipes except the Copyright article? Is it ok today? wow...i am so excited reading your recipies..
this make me got the urge to cook for my daugthers. Most of the day we will eat out because only me and her and also of the lazyness to clean after cook. 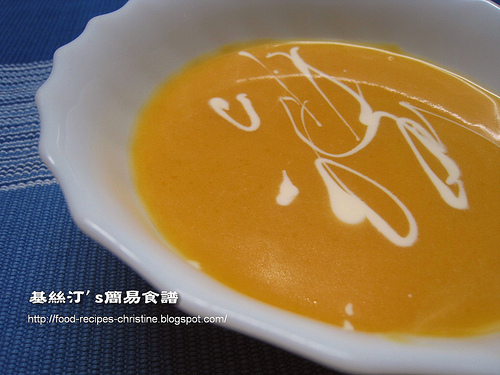 well..i will try this pumpkin soup tomorrow.. Wonderful! Let me know if you've done this soup and let me know how your family likes it.